I’m delighted to be taking part in the blog tour for the latest Kate Shackleton Mystery novel ‘Death At The Seaside‘ which is released TODAY! The Kate Shackleton Mysteries are written by Frances Brody who also writes stories and plays for BBC Radio, television scripts and stage plays. One of her sagas even won the HarperCollins Elizabeth Elgin Award! You know you’re in for a treat when an author has a rap sheet like that one and you won’t be disappointed with Death At The Seaside, I promise. Blurb: Nothing ever happens in August, and tenacious sleuth Kate Shackleton deserves a break. Heading off for a long-overdue holiday to Whitby, she visits her school friend Alma who works as a fortune teller there. On the eve of her sixteenth birthday, Felicity Turner made a plan. 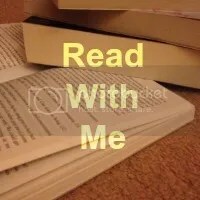 My Review: Anyone who follows this blog will know that murder mysteries set in the 1920s are not my usual reading fayre, but you know what? I LOVED Death At The Seaside. I started it cautiously, expecting to struggle a bit until the story got going – so often this style of book can be slow and dry – but instead I was hooked from the start, grinning away and chuckling at the dry wit and very British humour layered through the text. The whole book has the sort of charm that makes you warm and fuzzy inside with the pang of nostalgia for a Britain where cars were a luxury and hotels had chambermaids who helped you unpack your trunk and hat boxes. 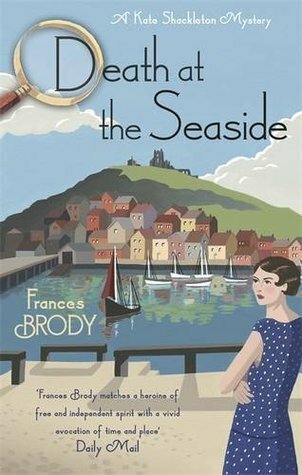 The story is set in the seaside town of Whitby where Kate Shakleton is supposed to be having a relaxing holiday visiting an old friend. Knowing Whitby and the area around it a little, I loved the setting and it was brought across brilliantly – the town and the ruined abbey above it almost feeling like a character in the book rather than just a place. It didn’t matter that this was my first Kate Shackleton novel, despite it being the 8th in the series – you were given enough background into the characters to know who was who without being overloaded which means it won’t have been boring for those familiar with them already. There’s nothing worse than starting a book and having the last few novels repeated in crazy condensed form in the first two chapters! All of the characters were brilliantly formed and very different – I must confess that more than one of them fell under my suspiscion throughout my reading. That said, I didn’t figure out WhoDunnit until very near the end when all the pointers became far clearer. The book kept me guessing all the way through without being frustratingly difficult – I enjoyed the puzzle and all the red herrings along the way as various character’s stories unfolded and intertwined. A light and easy read, I really enjoyed Death At The Seaside and I will be looking out for the other mysteries in the series in the library – probably much to the confusion of the librarians who are used to me devouring the YA, children’s fiction and horror sections!